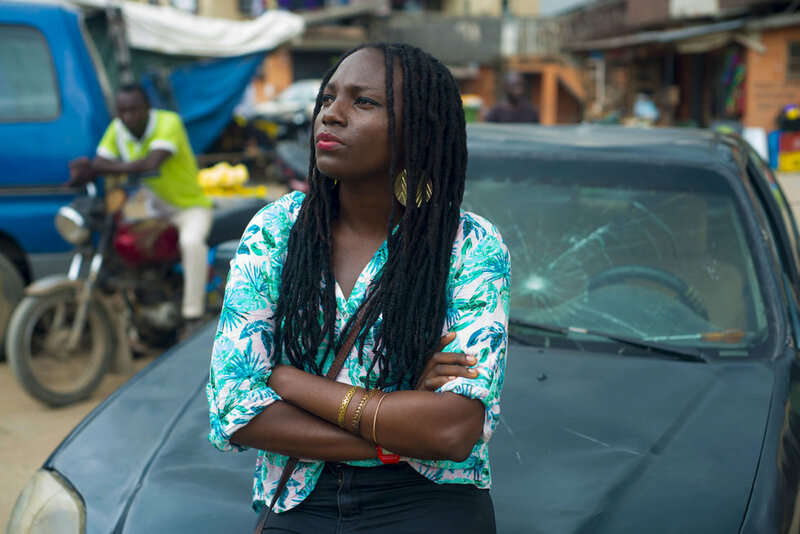 One of Naija cinema's new wave, Ema Edosio talks about what it took to film her exciting new film in the streets of Lagos. Ema Edosio is the director of "Kasala", a comedy set in present day Lagos and centers on the lives of four young men who go on a joyride to a party in a Honda Accord one of them has taken from his boss Taju without permission. Their evening is ruined when one of them crashes Taju's Honda breaking the windscreen and denting the car's body. With just four hours before Taju returns home, all four boys hustle around Lagos to raise money for the car repair. Taju, who is a struggling butcher, is faced with a big problem of his own: his debtor has just given him an ultimatum to pay back money he's long owed. Bitter and frustrated, Taju's retribution will be double-fold, if he returns home to find his Honda is damaged. The four friends do not need more another reason to expect the worse from Taju if they're not able to fix his Honda before gets home in the next four hours. 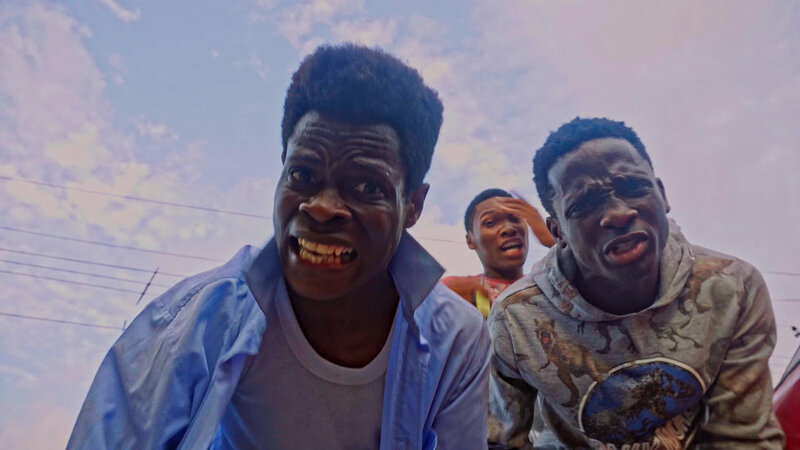 "Kasala" is a vivid portrayal of contemporary Lagos and a riotous combination of physical comedy, inventive turns of phrases combined with fluid camera work and committed performances from some of the young and bright African acting talents. Written by Temi Sodipo and directed by Ema Edosio—who is also the cinematographer and editor—"Kasala" was chosen for the closing gala of the 2018 edition of Film Africa in London this November, out of a total of 39 films from 15 countries. Edosio flew into London for the film's UK premier at the Rich Mix cinema to a largely pan-African crowd who lapped up the rollicking comedy. Ahead of her trip to the UK, Okay Africa spoke to Edosio about her debut feature, the joys and challenges of shooting on location in Lagos and the rise of Nigeria's so called "Naija New Wave" cinema. The fast pace and energy in Kasala is constant all through the film. Was this a deliberate injection or did it come as a result of the writing? I worked as a video journalist for the BBC and I would go into the streets of Lagos to film, and I would see everything that made Lagos what it is: the traffic, the smell, the dirt, the vibe, the energy, the people. And I wanted to make a story that is authentic and that is the reason why I decided to make Kasala this way. All the four friends and main characters jell naturally it would seem. How did you get them to work well together? When I conceived of the film, I knew that I didn't want to work with any "known" faces. I knew that I wanted unknown actors. So I put out an audition call and these boys worked into the room and I told them to read together. And immediately it was like magic. Why do you think they're largely unknown to the majority of Nigerian movie watching audience? I think one of the reasons is there's not a lot of movies written about young people. Most of the scripts are for a certain kind of male character: the superhero who goes to save the damsel in distress, and the hunk and a lot of roles are not written for these amazing actors and that's why they're largely unknown. Tomiwa Tegbe who plays "Effiong" is a good comic actor and has been in "On The Real (Ebony Life TV)" and "Shuga (MTV)". What does Kasala bring out in Tomiwa Tegbe that these other directors and film material that do not? The thing that made Tomiwa Tegbe and the rest stand out in Kasala is that I gave them freedom to act and I wasn't micromanaging them. They became very comfortable in order to do their best to the film. The cast as a whole is largely new and young with Jide Kosoko easily the most experienced. Why did you cast him for the role and not yet another "unknown" face? The reason is I couldn't afford to hire known faces to work in the film and I honestly didn't have the budget. I [also] wanted to bring in a sense of familiarity and that is why I got Jide Kosoko. Even though they're guys are unknown, and they're are fantastic "here is someone you know who is in this movie playing with these amazing actors" which is why I worked with Jide Kosoko. The different locations in the film are those of back corners, mechanic garages, meat market, communal flats most of which have the red and brown of rust and decay gives the cinematography a visual harmony. How much attention did you give to finding the right locations? I think I made Kasala with a vengeance. I've had the privilege to work with Ebonylife tv which was beautiful but Kasala kept pulling me in: the people I met in the streets, the things I'd done on the streets of Lagos, the visual aesthetic kept pulling and I decided to make that. I wanted to see Lagos, I wanted to see barbwires. I wanted to see gutters, I wanted to see the people. I knew that the location was a character on its own. And I wanted to be able to find the right location that would be able to represent that boys and the lives they live in Lagos. I'm forever grateful for the people there who let us film there. Your camera adopts the often frenetic pace of the film and is rarely still for long. Why this visual approach? I'm very influenced by Guy Ritchie, Edgar Wright, Spike Lee and Martin Scorsese. And I would always say to myself that "these characters in their films can be Nigerians". I think that the camera should be fluid, breathe, move with the audience showing us "oh yeah this is a wide, oh yeah this is a close up". My influence by these directors was what I put into Kasala. And this is what made the film dynamic. Are there any interesting, unplanned events during shooting which you could share with our readers? Shooting in Lagos is one of the hardest thing to do. You have these agberos [louts] who come to you and literally want to take your equipment. I went with a very small crew and I'm very petite and they would see me and say "who is this small girl? She doesn't have money. Leave her alone, let her shoot". I started bringing them into the film to act and it was very beautiful seeing them react to it. One of the most interesting things is the children in the estates [on location] who act in the film, the joy and the playfulness. In some ways we brought back some joy and some fun into the neighbourhood. Did you worry much about what may be lost to foreign audiences who may not be clued up the pidgin English and "Nigerianisms" used in the film? You can't come to Lagos and make a film about the slum in English. I felt like the pidgin English was as important as the location. My mind was not about where the foreign audience would accept it or whatever. My mind was "how do I make a film that is authentic to Nigeria? How do I make a film that would show of Lagos?" It would do no justice to use English. Who are the other key players in Nigeria's "nu wave" film and tv you would like to highlight? When you talk about new wave key players you're talking about Abba Makama whose film "Green White Green" inspired me to make "Kasala". CJ SeriObasi, ImoEmoren, Jade Sholat Siberi, Kemi Adetiba. So many new directors are springing out nollywood. And they're new directors making amazing stuff. I'm really really excited about the future. How did you raise the funding needed to make "Kasala"? When I wanted to make Kasala, it was not the kind of story people would fund. I decided in order to bring this story to live, to use the skills I'd gained over the years—to produce, direct, shoot and edit. Not because I wanted to be in control, because I didn't have the budget. That is the sport of new director coming in now. We're fighting against all odds and it is now beginning to be clear that it's way beyond nollywood. Kasala has been to over 20 international festivals and counting. And there an audience for our films, there's an audience for our voices. What are you expectations for it at the festival? I really don't know what to expect. I just hope that they love the film. For the Nigerians in the diaspora,I hope that it brings back memories of Lagos. For black people I hope it gives them a sense of how we are back home to help them connect with us as Africans. For the foreign audience I hope that they see a Nigeria of passion, of community, of tenacity, of brotherhood of love.